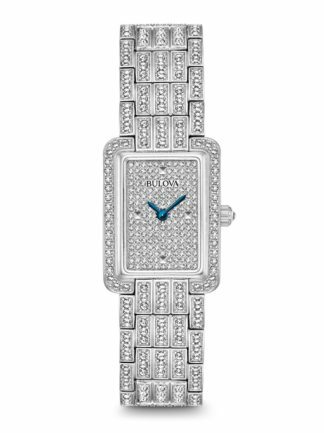 From the Ladies Diamonds Collection. 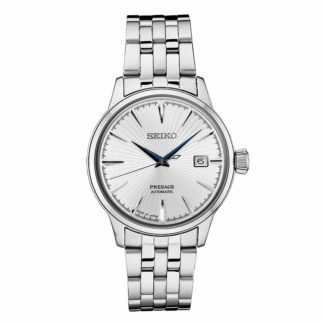 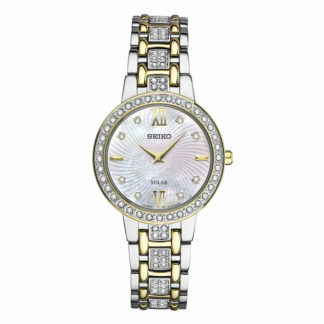 In stainless steel with 11 diamonds individually hand set on white mother-of-pearl dial with glitter heart decor, stainless steel bracelet with double-press deployant closure, and water resistance to 30 meters. 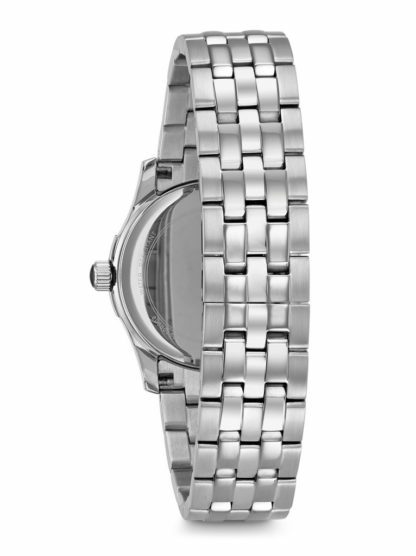 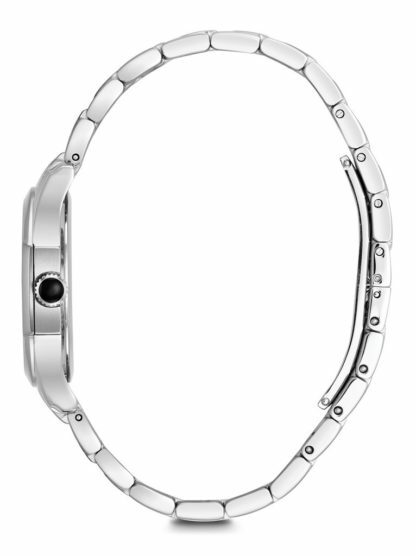 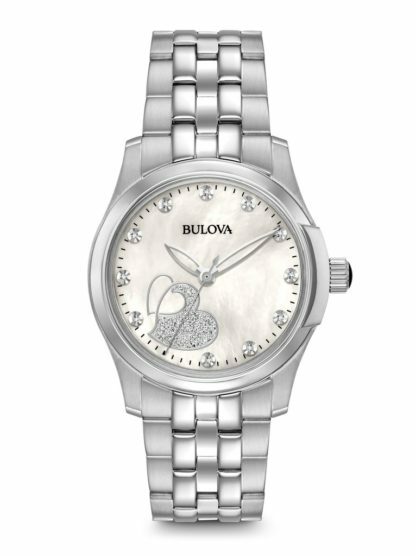 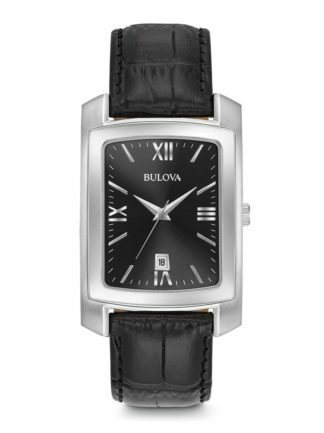 The Bulova Womens Diamond Watch 96P182 is from the Ladies Diamonds Collection. 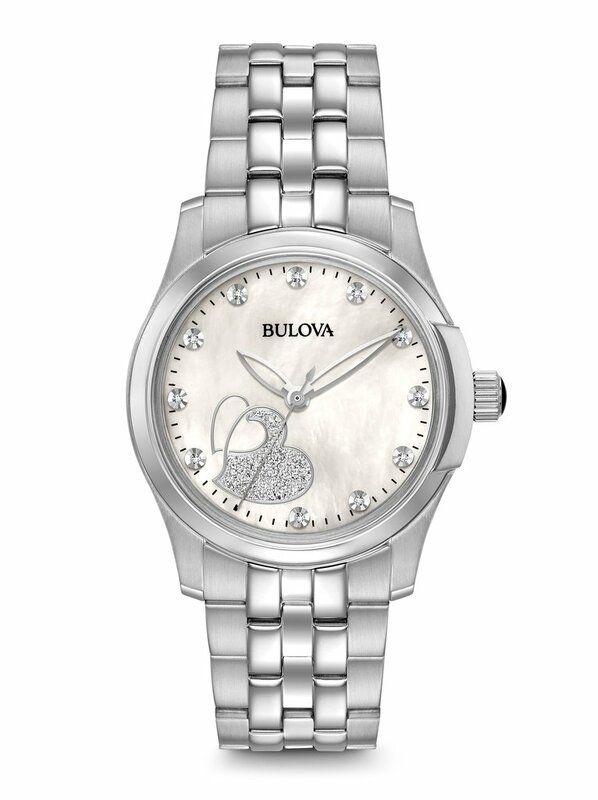 In stainless steel with 11 diamonds individually hand set on white mother-of-pearl dial with glitter heart decor, stainless steel bracelet with double-press deployant closure, and water resistance to 30 meters.